Well, folks, Mark Zuckerberg testified before the United States Senate for the first time in his life yesterday. It marked the climax of backlash that’s common against the social media giant ever since news about Cambridge Analytica hit the press. In a world increasingly connected through the internet, user privacy is paramount. However, these findings indicate that perhaps something else was of utmost importance under Mark Zuckerberg’s ‘old’ Facebook. Now, after the hearing, we’ve managed to get our hands on an image of Mark’s testimony notes. Take a look below for more details. A couple of days back, Apple CEO Tim Cook provided us with his opinions on the entire controversy surrounding Facebook’s data breach. Mr. Cook pointed out by highlighting how Apple stands to gain a lot if it monetized user data. But the company chooses not to, hinting at how it values user privacy instead. 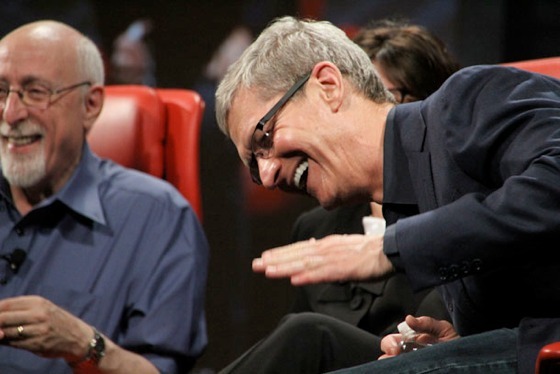 ‘The Zuck’ was quick to respond, dismissing the Apple CEO’s comments as ‘glib’. Highlighting how an advertising-based business model is the only rational option available for a service which a lot of users can’t afford to pay for, Facebook’s founder took matters one step ahead. He quoted Amazon CEO Jeff Bezos, and insinuated how Apple works hard to charge consumers more; a not-so-subtle reiteration of his earlier criticism on Cupertino’s high prices. While the entire tech world was busy snapping photographs of Mark, Associate Press’ Andy Harnik had other plans. He was sharp enough to snap a picture of the Facebook CEO’s notes. 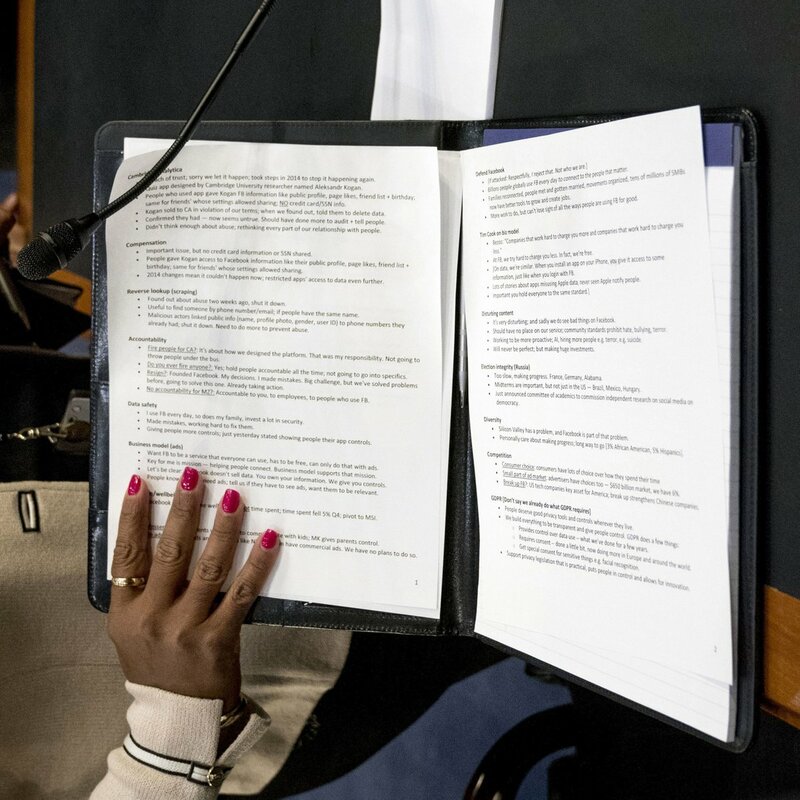 It highlights how Mr. Zuckerberg prepared for the hearing. What interests us is how he also planned to bring Apple into the five hours long hearing at some point. On data, we’re similar. When you install an app on your iPhone, you give it access to some information, just like when you log in with Facebook. Over these past few weeks, Mark Zuckerberg’s response to the entire ordeal resembles a deer caught in the headlights. He’s been increasingly on the backfoot, backtracking several times; an approach also evident in yesterday’s hearing. Of course, Mark got off easy. Despite their best intentions, the senators’ lack of understanding of Facebook’s business model, data access, and data transfer was evident throughout the five hours. Additionally, Apple’s Tim Cook also needs to think twice before making big claims. While his company has ridden successfully on the iPhone for years, changing market trends will force him to look towards service monetization as well. Even though it’s unlikely for Apple to follow a completely similar approach as Facebook, it’s future w.r.t convincing users to pay for services isn’t very bright either. 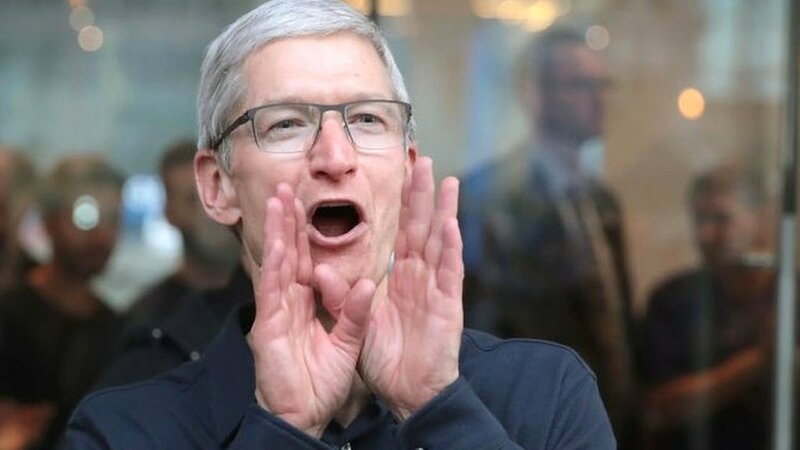 Before we know it, Mr. Cook might also have to swallow his words like Phil Schiller did with last year’s iPhone launch.